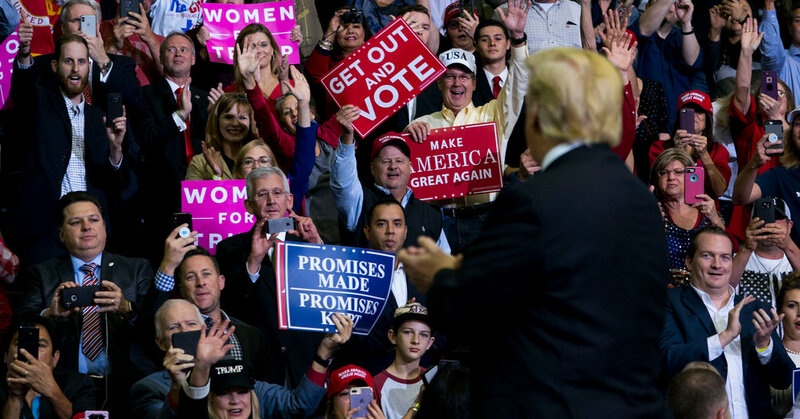 “They’re between a rock and a hard place,” said Thomas M. Davis III, a former Republican congressman from Virginia, of the attempt to balance appeals to upscale anti-Trump voters and the party’s bedrock supporters. White House aides, who were not authorized to speak publicly about strategy, said that their teams defer to the campaigns in choosing where Mr. Trump can be most useful in their districts or states, and that even the Senate contests he appears in have down-ballot advantages. This week he’s appearing in three districts with open seats, which White House officials believe are at the root of their difficulty this year. The White House has very much taken notice of who has spurned Mr. Trump — Representative Erik Paulsen of Minnesota and Representative Kevin Yoder of Kansas are mentioned frequently by West Wing officials — and Mr. Stepien even went so far as to write a memo this month warning lawmakers that they would not fare well if they did not “boldly align” themselves with the president. A spokesman for Mr. Scott did not reply to questions about his plans, but the governor’s advisers have been uneasy with having him on stage because of the president’s penchant for veering well off script and making incendiary comments. And with Mr. Trump ratcheting up his rhetoric against immigrants, and Mr. Nelson linking Mr. Scott to the president in Spanish-language ads, those sensitivities are even more acute.